Moscow is the biggest city in Europe with population over 12 million people. The city was founded in 1147, and in the 13th century it already became a political and cultural center. 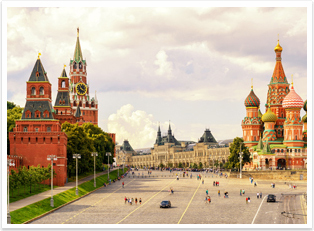 Now Moscow is famous for its historical, cultural and architectural landmarks. There are more than 100 theaters, 60 museums and 90 parks in the city which makes it impossible to even think of getting bored there. Kremlin, Red Square, Novodevichy Convent and Church of the Ascension in Kolomenskoye royal estate are on the UNESCO foundation list. There are a thousand things to do and see in Moscow, so you’ll have no chance but to keep coming back to this intriguing city. One of the most beautiful cities in the world – Saint Petersburg – is the second largest Russian city often called the Northern capital. Throughout its rich history the city has been called different names: Petrograd at first and later Leningrad. 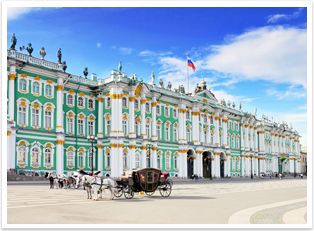 Saint Petersburg can genuinely be called the sightseeing treasury for the numerous attractions that are presented there. Hermitage, St. Isaac's Cathedral, Church of the Savior on Spilled Blood, Nevsky Prospect and many more sights will take a special place in your heart forever.